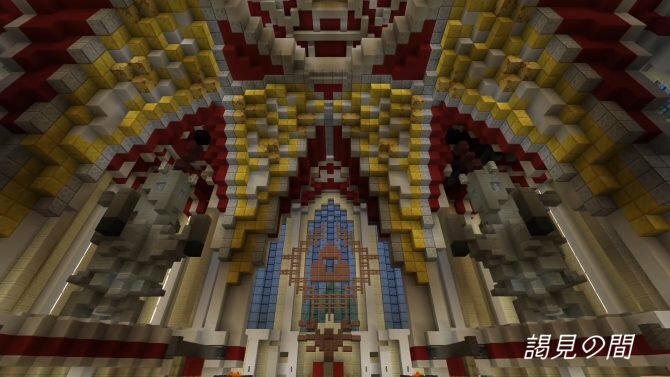 Within the beautiful landscape of Aslarga resides the home of the Mystery Dungeons -- complex and dangerous labyrinths whose structure changes with each new venture inside. NISA has revealed that it will be publishing two Nintendo 3DS exclusive JRPGs in Europe: Etrian Mystery Dungeon and Devil Survivor 2: Record Breaker. Atlus released a new trailer for Etrian Mystery Dungeon, showcasing even more of the grid style dungeon-crawling gameplay. 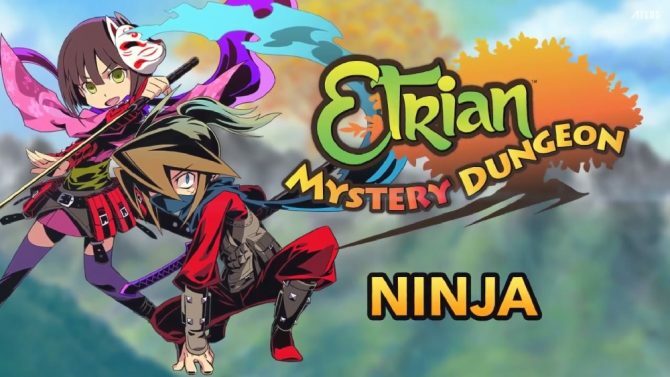 Atlus USA announced a very nice deal for players purchasing the upcoming collaborative title Etrian Mystery Dungeon: there will be tons of free DLC available to download right after launch, as well as a new theme. Atlus is still publishing new class trailers for their upcoming Nintendo 3DS exclusive rogue-like Etrian Mystery Dungeon. Another piece of background music from the upcoming Nintendo 3DS exclusive RPG Etrian Mystery Dungeon has been shared. 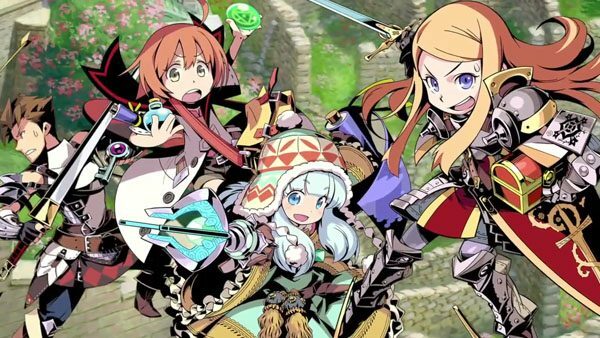 A new promotional video has been released for the upcoming Nintendo 3DS exclusive RPG Etrian Mystery Dungeon. 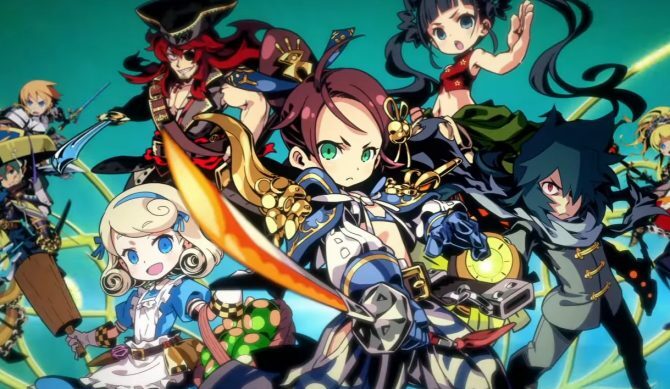 A new trailer for Etrian Mystery Dungeon reveals another class: the graceful Dancers. Dancers are a support-type class with the ability to raise an ally's attack, change turn order, and heal entire parties. Etrian Mystery Dungeon is due out on the Nintendo 3DS very soon, and to tease fans who are anticipating the release, publisher Atlus USA has released a brand new trailer showcasing the medic class in action. Atlus USA will be livestreaming more gameplay of they and Spike Chunsoft's upcoming Etrian Mystery Dungeon title later on today. Today's class focus for the upcoming Etrian Mystery Dungeon title is the Runemaster, a veritable master of the elements. Atlus USA's official site updated today, revealing the release date of Etrian Mystery Dungeon for North America. A new class trailer has been published for the upcoming Atlus developed RPG Etrian Mystery Dungeon. A new game-play trailer has been released for the upcoming Nintendo 3DS title Etrian Mystery Dungeon. Atlus has shared a new trailer for the upcoming Nintendo 3DS exclusive rogue-like RPG Etrian Mystery Dungeon.